Perhaps the biggest threat to free speech, Gabb suggests, is corporate censorship. And while some libertarians join the apologists for censorship who argue that private corporations such as YouTube, Facebook, Amazon, and Google have the right to censor anyone they want, Sean Gabb disagrees. He argues persuasively that limited liability corporations are not private, but quasi-governmental entities, and should therefore be required to follow the same norms of free speech and transparency as the government does. I agree, but I think Sean Gabb doesn’t go far enough. It’s obvious that these internet fora are today’s equivalent of the “town square.” OBVIOUSLY they must respect the First Amendment and other free speech norms and protections! Additionally, they are monopolies, which are supposed to be illegal under American law. 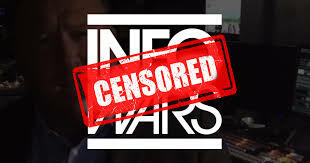 If they don’t want to be seized by the government and either broken up or run as public utilities, they need to rigorously respect content neutrality and honor—not censor—controversial speech. Sean Gabb is the author of more than thirty books and around a thousand essays and newspaper articles. He also appears on radio and television, and is a notable speaker at conferences and literary festivals in Britain, America, Europe and Asia. Under the name Richard Blake, he has written eight historical novels for Hodder & Stoughton. These have been translated into Spanish, Italian, Greek, Slovak, Hungarian, Chinese and Indonesian.